Anne Hathaway is lighting up the internet today with the first look at her as Catwoman, or at least as Selina Kyle, on the set of Christopher Nolan’s The Dark Knight Rises currently filming in Pittsburgh. The timing couldn’t be better to remind everyone she is also starring in One Day, directed by Lone Scherfig, opening in theatres nationwide August 19h. the midnight hour, when the film officially opens. all-out war. The stakes have never been higher and no one is safe. Voldemort. It all ends here. Yates, and produced by David Heyman, David Barron and J.K. Rowling. J.K. Rowling. Lionel Wigram served as the executive producer. some sequences of intense action violence and frightening images. While the conclusion of the Harry Potter saga is an event in its own right, it is of special interest to Batman fans as it will contain the first teaser trailer for Christopher Nolan’s The Dark Knight Rises. Fans have run amok on a number of fake trailers and rumors since The Dark Knight Rises website launched in May. Tagged with fake leaks, harry potter and the deathly hallows part ii, trailer, viral, warner bros. The net is abuzz with the release of the first official poster for Christopher Nolan’s The Dark Knight Rises. Although the movie will not open for a year, in the summer of 2012, the first teaser trailer is expected on the release of Harry Potter and the Deathly Hallows, Part II on July 15. With that landmark only days away, excitement is at a fever pitch. As well it should be. However, smart fans will keep their expectations in check. Those expecting to see costumed characters (and indeed who believe details have already been released about costume designs) have short memories. 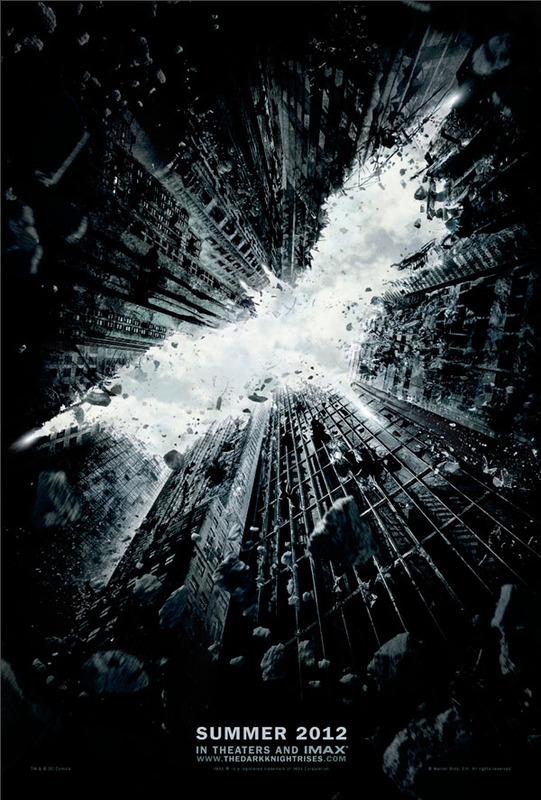 The first Dark Knight trailer featured only dialogue between Bruce Wayne and Alfred (Christian Bale and Michael Caine) with the only visual being the Batman emblem on an animated foggy background. Release of the first character image, The Joker, did not come until months later and a lengthy and complicated viral scavenger hunt. Tagged with anne hathaway, bane, batman, bruce wayne, catwoman, christian bale, christopher nolan, gary oldman, gotham city, harry potter and the deathly hallows part ii, michael caine, official, poster, selina kyle, teaser, the dark knight rises, tom hardy, trailer, viral, warner bros.
Arkham City's "appallingly bad" Catwoman "has never looked worse"
Anne Hathaway Coming Back From London TDKR Shoot! DC Comics relaunch… enough to repair the damage? 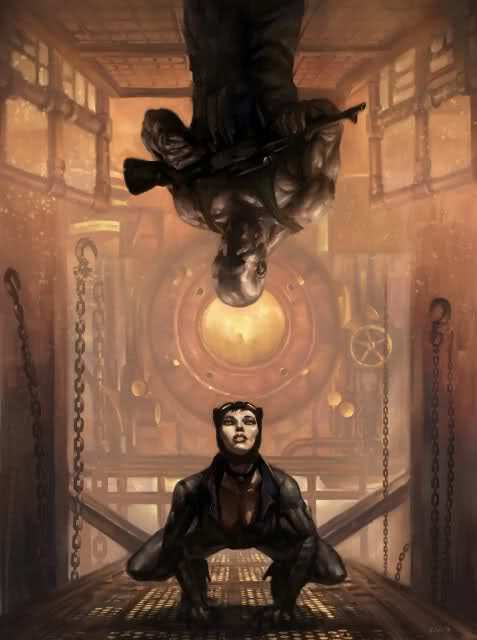 Catwoman slow reveal in #thefirerises viral? So far, all that’s happened is a twitter campaign where the #thefirerises hashtag revealed a picture of Tom Hardy as Bane as it was tweeted. There is no confirmation that the youtube videos circulating are at all official. The timing argues against it, since it coincided with DC Comics announcing their Flashpoint reboot and relaunch of all comics titles, and Arkham Asylum releasing a new Catwoman trailer which reveals she will be a playable character. Professional virals tend to be timed better, when they will not have to compete for the fandom’s attention. One thing that has been confirmed, 42 Entertainment which orchestrated the I Believe in Harvey Dent campaign for The Dark Knight will not be doing the viral for Christopher Nolan’s third outing The Dark Knight Rises.